Our School, is located at General Aviation Area, Mactan-Cebu International Airport, Pajac, Lapu-lapu City, Cebu, Philippines. 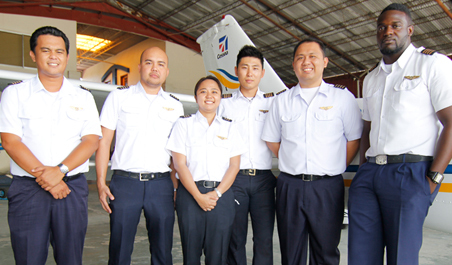 We are duly accredited by the Philippine Civil Aviation Authority of the Philippines as an Approved Training Organization to provide best -in-class flight training to both local and foreign students. To provide top-notch aviation training program for local and international students. To be a premier Aviation Education-oriented corporation that ensures and delivers standardized flight training programs that produce world-class pilot graduates. A veteran military pilot and served the Armed Forces of the Philippines for 37 years in various capacities. He flew the T-41D, SF- 260MP Marchetti, UH-1H Helicopter, N-22B Nomad, CT-4, and the MB-326 Machi jet aircraft. He took up his Flight Instructor Course at the Central Flying School of the Royal Australian Air Force in 1980. He was a flight instructor, test pilot, and flight checker of the Philippine Air Force Flying School for seven years and became its Commandant in the later years. He was a Squadron Commander of the 208th Helicopter Squadron flying combat support missions for ground combat units of the Armed Forces of the Philippines. He also commanded the 220th Airlift Wing that provided the government with the heavy and medium lift capability. Is the Chief Executive Officer of PT. Buana Media Visual in Jakarta Indonesia. He is also the current President of PT. Buana Media Integrasi and Director of Voucher Store Pty. 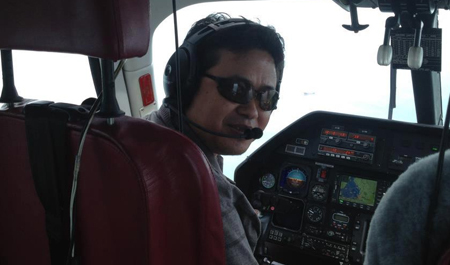 LTD. Gede is also a Private Pilot License holder since 2009. Our partnership will bring new opportunities for both our Indonesian students and to our school. Is a current FAA ATPL and CFI license holder. 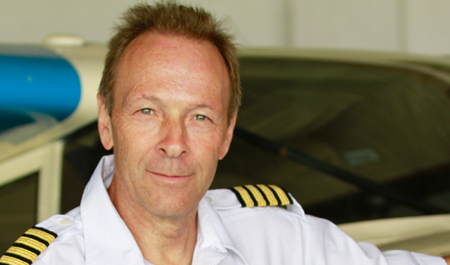 He received his flying lessons in 1983-1985 in Penticton, Canada. Over the years, Capt. Leuthold flew as a flight instructor and as a contracted pilot. He has flown in most parts of North America, Canada, USA and Mexico. 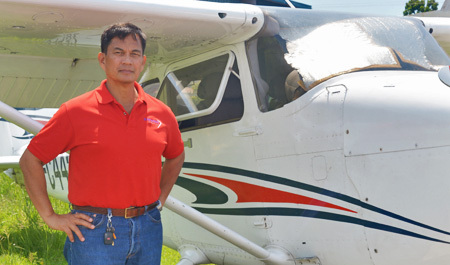 In April of 2013, he moved to the Philippines hopping to contribute to Aviation in the country with his flying experience. Up to date, Capt. Leuthold had accumulated 14,300 Flight hours and is rated with various single and multi engine type of airplanes. We have 20 multi-cultural and competent flight and ground instructors. Trainings are supervised with seven senior heads who had been doing flight instruction for years. Each seniors had a logged hours of more than 3,000 flight time.